Most of the descriptions are his. 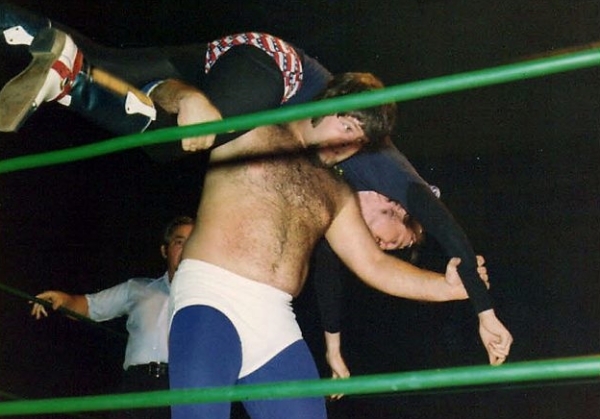 "This is the only photo I have of Coyote Calhoun being whipped by Jerry 'The King' Lawler at Louisville Gardens. 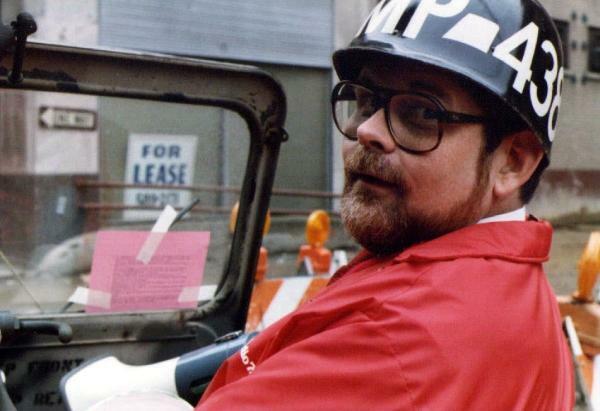 This was a few years before the Andy Kaufman incident." 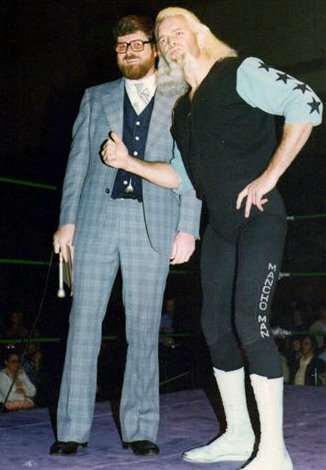 "My favorite [wrestler was] Handsome Jimmy Valiant. You will remember him, of course, as Luscious Johnny Valiant's brother. Jimmy was a guest on my show a couple of times." "On the second Valiant photo you will notice that it says 'Mancho Man' on one leg of his tights. Spelling never was Jimmy's best subject." "When the studios were redecorated once, they painted big bold stripes down the front hallway. 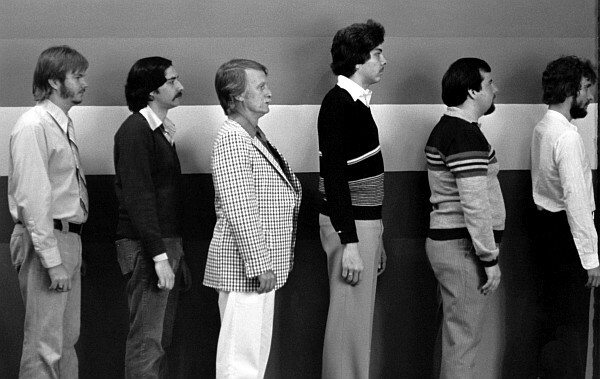 One day somebody said it looked like the set for a police lineup. So that's what they did. 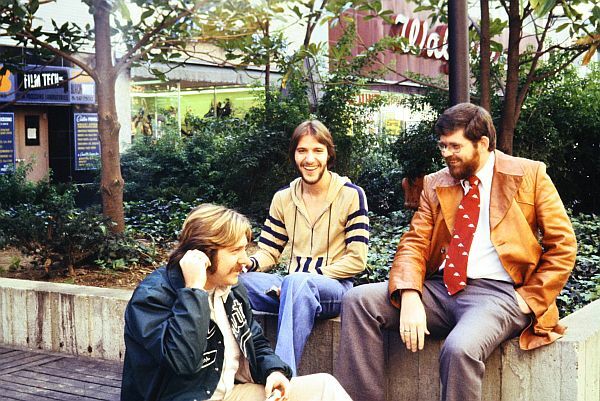 Left to right: Darrell Douglas, John Ashton, Bill Bailey, Mike McVay, Bobby Hatfield, and Bill 'Popcorn' Purdom." "This is my favorite photo of me with Bailey. The reflection in the glass is from cart racks in the studio. 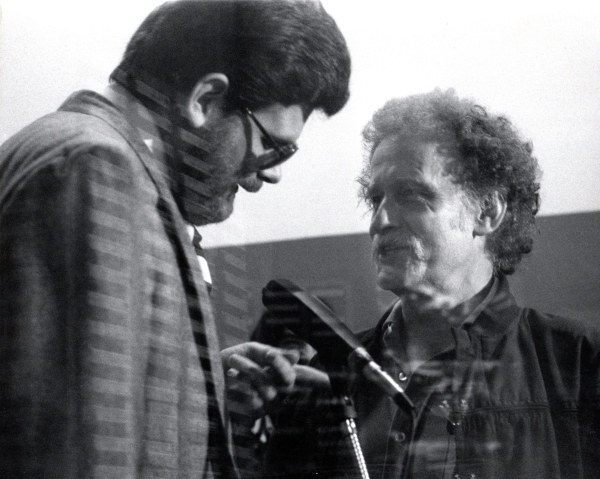 It may look like I'm pointing at Bill, but that's actually a cigar -- which was kind of my trademark in those days. 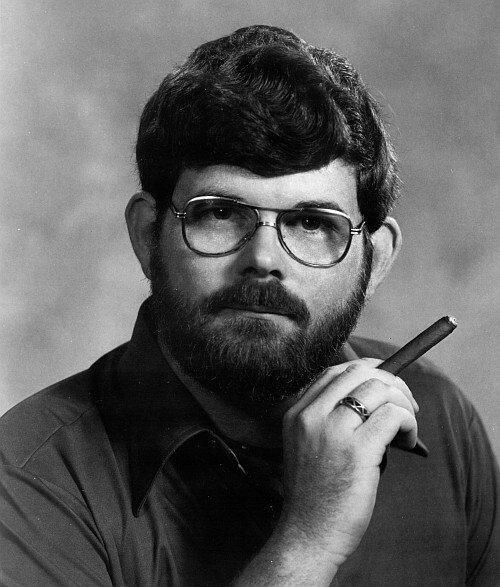 When you came to work at WAKY in the mid-seventies they would commission Gary King's girlfriend to paint a portrait that would hang in the lobby with those of all the other jocks. Mine had me smoking a big fat cigar. Don't know what happened to those paintings, but I wish I had kept mine. By the way, I haven't smoked in over twenty years now." "And here are the fabled WAKY Wet Sox! I can take credit for the name. The basketball team was the WAKY Warthogs -- that name preceded me by many years. 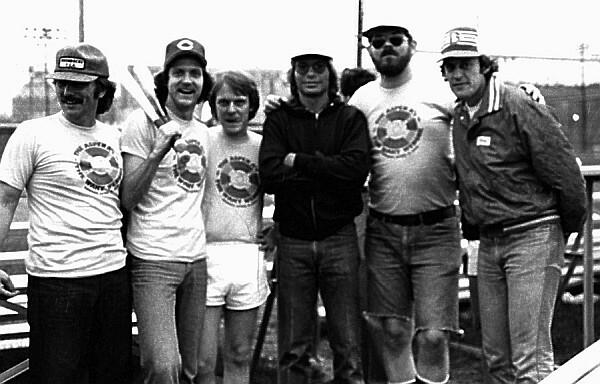 This softball game pitted the Wet Sox against a team of record promotion guys from Cincinnati called The Hit Men. I have forgotten most of the names, but here are the ones I can identify: Front row: David Ritter, Tom Moran, Jim Sellers, Bill Scull, Unknown, Pete Anderson, Tony Smith, Unknown. Back row: Unknown; Charlie Hosmer (used the name Charlie Blue at WAKY; later Charlie McGraw in Las Vegas); General Manager George Francis, Bob Moody, Michael A. McVay, Marie Rogers (then George Francis' secretary; now married to Karl Shannon); unknown, Tom Prestigiacomo; final four also unknown." Tom Prestigiacomo adds: "For the record in the WAKY Wet Sox photo the people to my left (I am wearing the 'Be a Star' t-shirt) in the back row are, in order: Mark Hanlon, now a California Firefighter; the short blond is Earl Lord, these days a Master class 10K runner in and around Louisville; the guy in the tight whites is Jimmy Collins -- he's now in construction -- and on the end in the ball cap is Kurt Hall, who owns his own subcontracting company in Louisville." 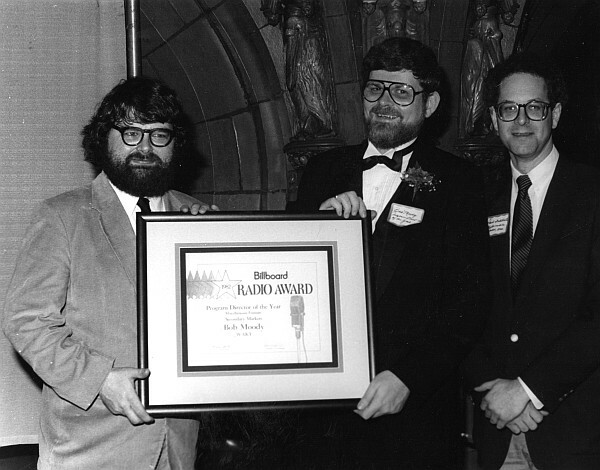 "Bob Moody accepts a 1982 Program Director of the Year award from Peter Kanze of Billboard Magazine. 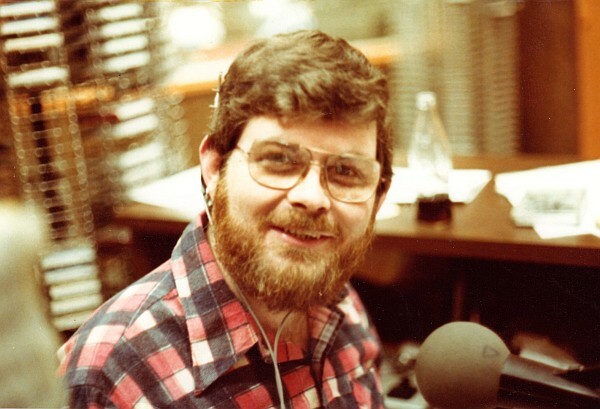 WAKY also won the Billboard Station of the Year award that year in its category. 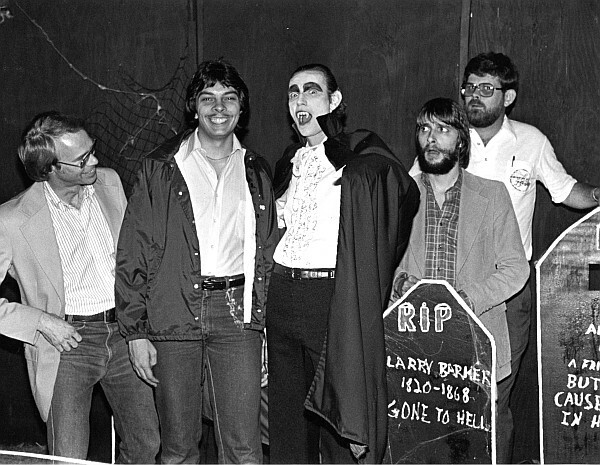 At right is Paul Fiddick, then President of Multimedia Radio. Paul is now in charge of the International division at Emmis. The ceremony took place in the Rathskeller of the Seelbach Hotel." 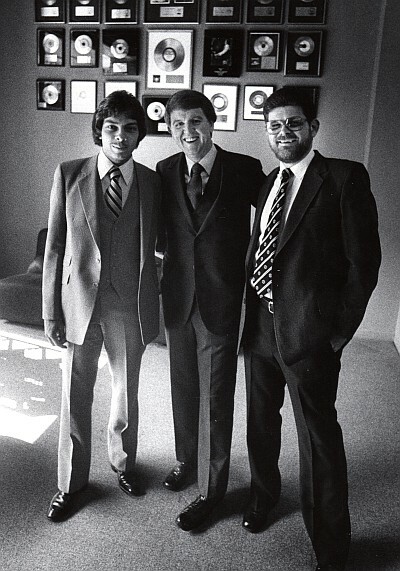 "This is Mike McVay, George Francis, and me in the lobby at WAKY. George was the GM when Mike and I were there and he deserves a lot more credit than he has received for keeping The Mighty 790 going another few years. He is a brilliant promoter and kept the station competitive with innovative promotions and great programming. 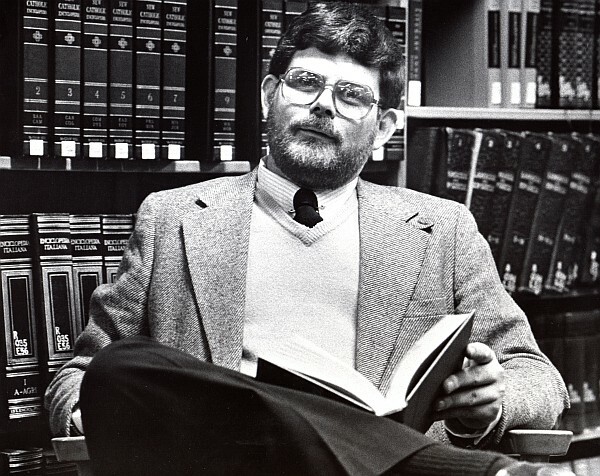 George is now retired and living in Greenville, South Carolina." 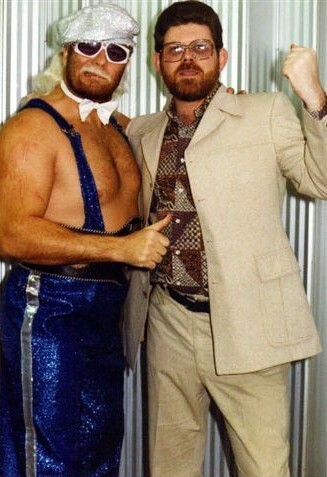 "Mike McVay and me at some type of beauty contest at the Kentucky State Fair during the Disco Era. The woman between us, arguably the prettiest one there, was a WAKY salesperson named Margie. Can't recall her last name." 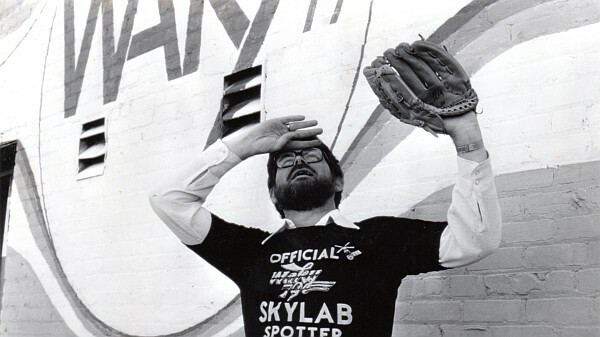 Bob Moody ready to catch a piece of Skylab in case it falls in Louisville (1979). 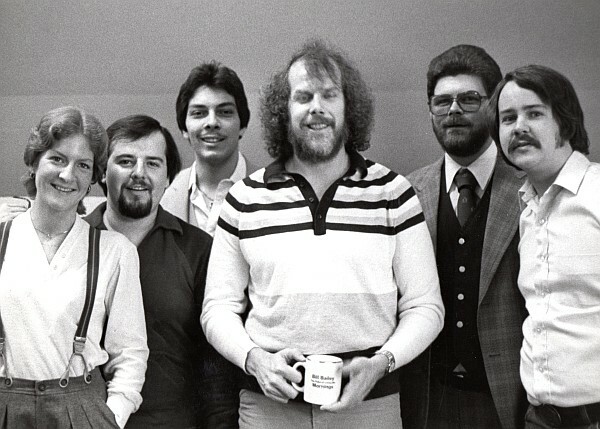 "This photo is of the WAKY staff that launched the oldies format in 1982. 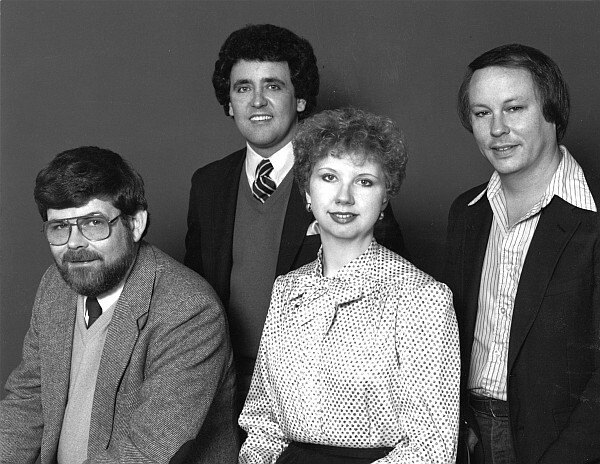 Left to right: Bob Moody, Steven Lee Cook, Liz Curtis, and B.J. Koltee." "One of my favorite photos! 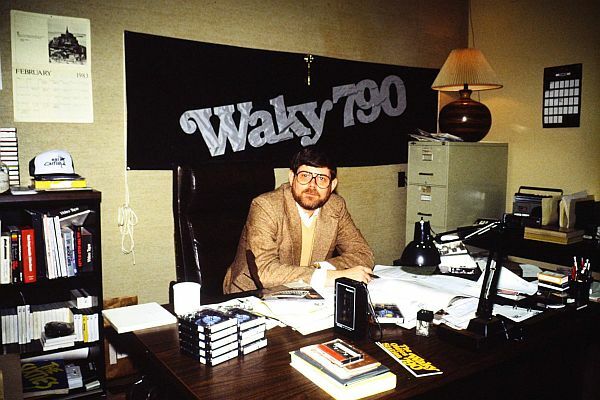 We did a goofy 'WAKY Goes To War' promotion sometime around 1984 or 1985. 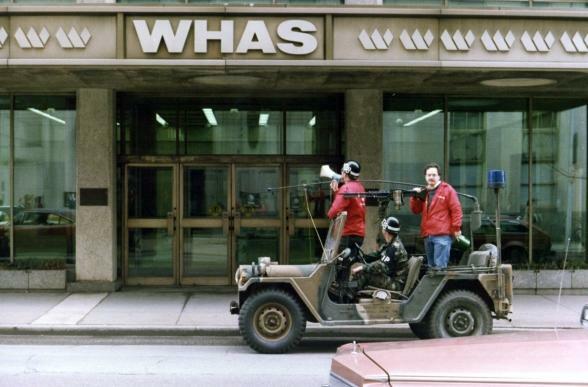 This is 'General' Bob Moody on the bullhorn demanding an immediate and unconditional surrender by WHAS. 'Captain' Gary Clark mans the machine gun. People there knew me and everyone seemed to think it was funny except for WHAS PD Denny Nugent, who refused to acknowledge that I was even there. This photo appeared in Billboard magazine." 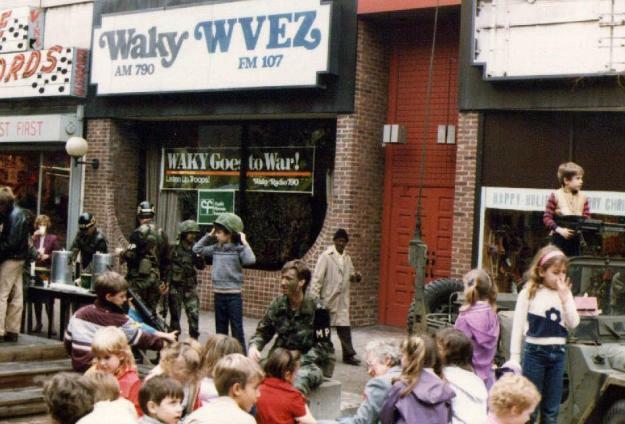 "A view of the WAKY studios from the River City Mall during the 'WAKY Goes To War' promotion." "'General' Moody heads off to fight the good fight."